The debate over waste heat from the South London incinerator is hotting up. 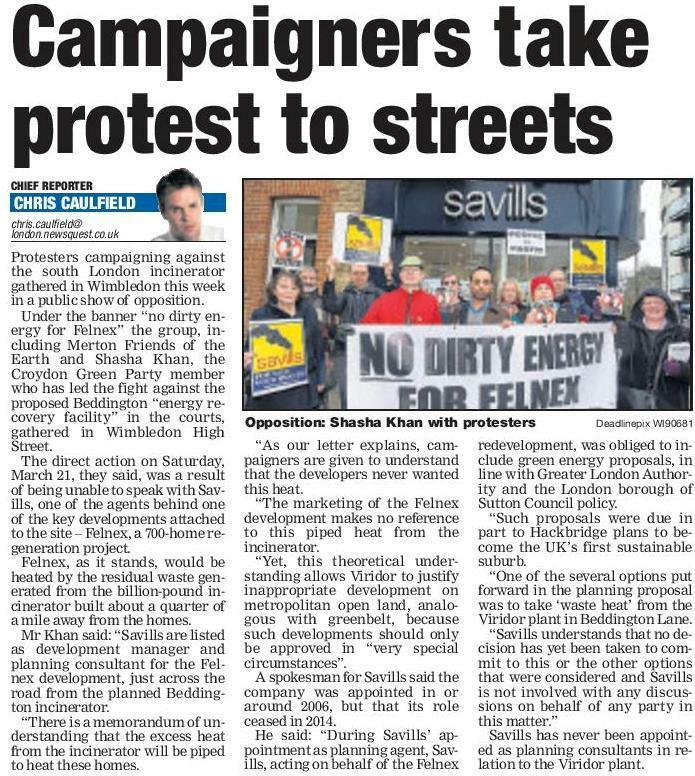 Savills Estate Agent is backing the Felnex development and the use of heat from the controversial incinerator on Beddington Lane. 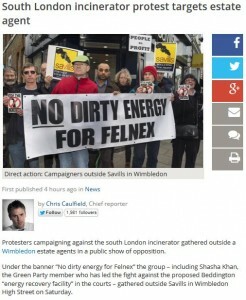 This group attempted to arrange a meeting with Savills and when they wouldn’t answer our requests we arranged a demo outside their local office in Wimbledon. It’s strange how they are prepared to give the press a comment but not sit down with local residents to discuss their concerns. Another example of big business treating the people with contempt. See here and the screenshot below for how the press reported it. You can also read all about the protest and watch a video about it here.